We are so excited to share this fun-raising event coming up MONDAY, FEB 11th at GLITCH CAFE & GAME ROOM. 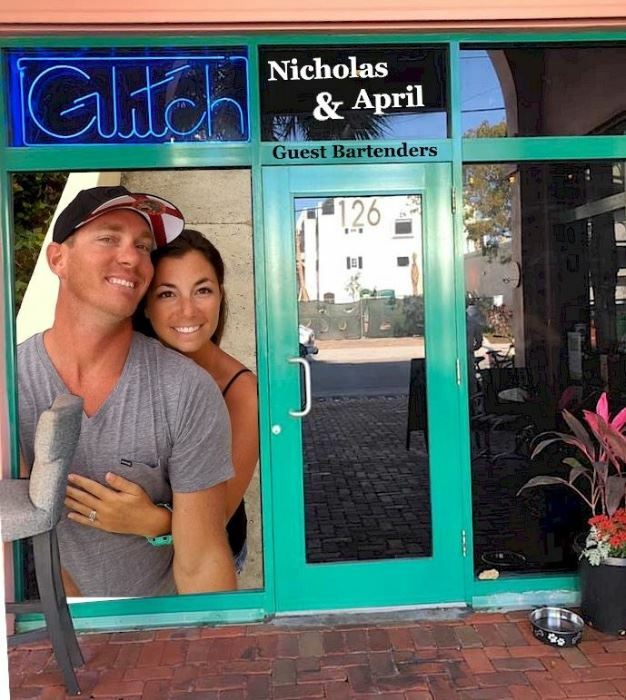 Our great friends Nik & April Lehmann are guest bartending Monday, Feb 11th from 6pm - 11pm and they will be donating ALL OF THEIR TIPS to The Scleroderma Foundation of SE, Florida Chapter. As you may know the Scleroderma Foundation has a special place in our hearts. Carmen Lehmann Manning - Nik's sister, lost her battle to this incurable disease in 2007. You will also recognize her mom Sharon Lehmann who has worked with Susie's Estates for over 5 years now and her husband, Marty has also worked with us in the past years. You can get more information about Scleroderma at www.scleroderma.org. Please come and join us for a fun evening at Glitch, a new bar and game room which offers craft tap beer and wine - OH and lots of GAMES -plus if you like the bartenders tip them well and you can help a very worthy cause!